Do you have a long Christmas shopping list? 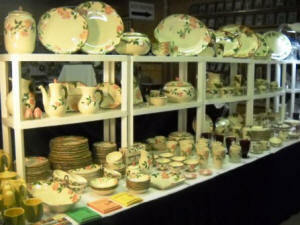 On November 15 and 16, the Fredericksburg Fall Antique Show returns to the Gillespie County Fairgrounds, three miles south of Fredericksburg on Highway 16 South. The show is 10 am to 5 pm on Saturday, and 10 am to 4 pm on Friday. $5 admission good for both days; children 12 and under are free.